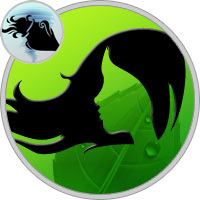 Virgo and Aquarius belong to the hard-compatible elements — earth and air. The first is firmly on its feet, striving for stability and permanence. Virgo always thinks rationally, calculating each step. Restrained, more often relies on logic than feelings and emotions. The sign of the earth plans its future to the smallest detail: this style of life keeps it from unforeseen circumstances that can have negative consequences. He prefers to control not only himself, but also the actions of others. The maid is led by Mercury — an intelligent, calculating god of trade. Thanks to him, she is sociable, but she uses this gift exclusively in the case. The sign of the land everywhere seeks to gain, in the relations too. Aquarius is governed immediately by two planets: atypical, passionate Uranus and disciplined Saturn, so that their ward is able to think creatively, and his attention is directed to the future. His plans are always great and sometimes even strange, bordering on fantasies. He has a passionate nature, often lights up with something, but he also cools quickly and finds a new hobby. Tranquility and poise Virgo does not fit creative Aquarius: he is bored to live on schedule. Sometimes he behaves very unreasonably, and then reaps the fruits in the form of trouble. Belonging to the fixed signs of the zodiac has a positive effect on his assertiveness in achieving his goals. Despite the multiple differences, the compatibility of Virgo and Aquarius can be very fruitful due to the complementarity of those qualities that the partner does not have. The Earth can share its firmness with the air: give the partner confidence, which is often lacking in situations of making difficult decisions, and also show him all the bonuses of a stable, planned life. The air element, in turn, will help Virgo to rise above the ground, and not to grasp it so zealously and let go at least occasionally to rest in a free flight among the stars and clouds. The horoscope of compatibility of Virgo with Aquarius can be successful thanks to one more fact: this sign of the earth element is changeable, that is, it easily adapts to any changes and can be adjusted to the character of the partner. If Virgo sees benefits, and she seeks everywhere, she can close her eyes to many things that do not suit her. Benefit here is not only a matter of material interest, although it is one of the main for it. For example, this may be a situation in which Virgo is in love and in order to be near the adorable object, she will put up with his negative sides. From the side of idealistic Aquarius such sacrifices are possible with less probability. The compatibility of Virgo and Aquarius in the work promises to be almost ideal provided that they pre-schedule their roles and distribute areas of responsibility. Creative, light air can create creative, interesting projects, which the earth element with the help of rational thinking brings to the stage of a ready business plan. Virgo often descends a partner from heaven to earth, and he, in turn, on the contrary, helps her to push the rigid limits of her consciousness. Mercury’s ward brings calmness and steadiness to their team, and the partner is an adventure spirit and excitement. The compatibility of Virgo with Aquarius in friendship is quite beneficial and again due to complementarity. The sign of the earthly elements often falls into despondency or even depression because of its monotonous life, therefore it is very suitable for a partner who will help her optimism to cope with her negative conditions. Aquarius often shows the partner situations that sometimes seem terrible or hopeless, quite the opposite side and in a different color. For the air element, on the contrary, we need a friend who will return it to reality. The compatibility of Virgo and Aquarius in love will depend on how much their feelings are strong. As a rule, at the beginning of the relationship, hormones are played by any person and these signs are not an exception. In their case, euphoria does not last long, as they attach greater importance to the partner’s intelligence than to his external data or social position. Mental signs are not very emotional, so their romance is not marked by violent passions. Difficulties between them will begin when partners become trusted and begin to honestly demonstrate their characters. Aquarius is accustomed to an active position in society and bold ideas, which the practical Virgo will often criticize, thus causing his irritation. The ward of Uranus also does not accept the pessimism with which the partner treats certain situations: everything is good and bright in his world. Even their gifts will be very different: the earth element will bring something useful, and the air will be something that will leave an unforgettable impression. Thus, the compatibility of Virgo with Aquarius in a relationship is something that they will have to jointly achieve by their own labor: to accept the unwanted features of the chosen one and to make mutual concessions. Above the compatibility of Virgo and Aquarius in bed, they will also have to work. Both are dominated by the intellectual sphere, so physical pleasure for them is not at the forefront. On the one hand, they are similar to intimate relationships: for both, the sexual act itself is not as interesting as what precedes it, namely the intimate atmosphere, the romantic atmosphere, the long and gentle foreplay. On the other hand, Aquarius, endowed with a rich imagination, seeks to diversify sexual games and offers the partner various experiments. But Virgo is by nature too clamped, her natural sexuality is closed with seven seals very deeply, and to disrupt her, the partner needs to try very hard. If the air sign really feels real feelings for it and is ready to wait until it is liberated and manifested, then they have all the chances to establish their intimate relations so that both partners will teach real pleasure. The level of compatibility of Virgo with Aquarius in marriage is above average, however, they will have to live together easily. Critical elements of the earth may refrain from criticizing the first months after the wedding, but then the nature will take its toll: it will begin to point out the partner to his shortcomings and mistakes, which he has not so little, from her point of view. Aquarius does not like to hurry, it can freeze for a while in daydreams: such slowness and disorganization will exclude the spouse from whom each minute is painted. The material aspect will also cause friction between them: sometimes the air element in a sense of emotion can be fairly spent, whereas, a representative of Mercury tends to accumulate finance and savings. Aquarius, who feels pressure in the family, is inclined to spend most of the time beyond its limits. Solve problems — not his hobby, unlike the responsible Virgo. To improve compatibility, Virgo and Aquarius in the family life will have to try. The first is to remove the hand from the partner’s pulse and stop trying to remake it. She should remember that there are no ideal people, relax and stop demanding from oneself and people unattainable. Her partner needs to learn elementary living rules that will make life much easier for him. And it also does not prevent him from taking responsibility for his words and deeds more often. And the last. To get closer, the couple must find common interests: in any interaction, people get to know each other better, thereby improving the quality of further contact.